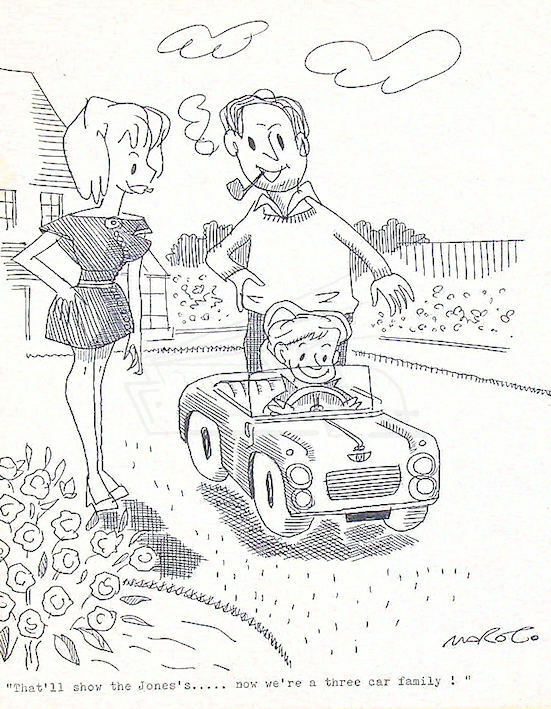 Robert Coram was a popular cartoonist who signed his work MAROC. 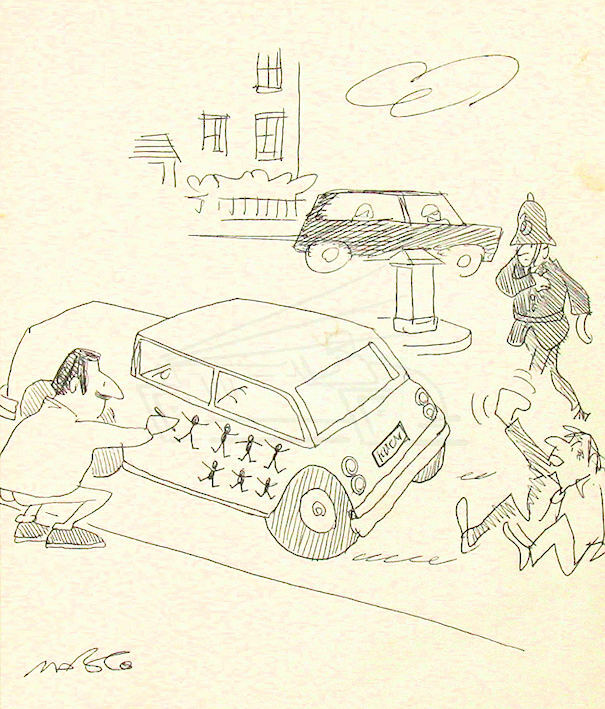 Motoring cartoons were very much part of his portfolio. Also noted was a 1940's magazine cover for The Morris Owner. See the cartoonist biography details below for further details about the artist and publications he worked for. Untitled of motorist counting casualties. 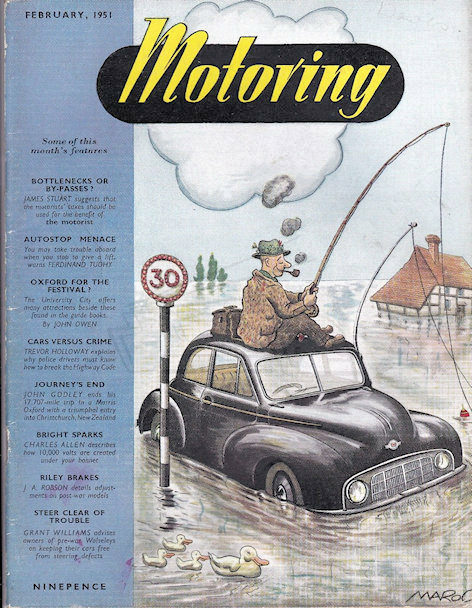 Motoring magazine 1951 front cover.